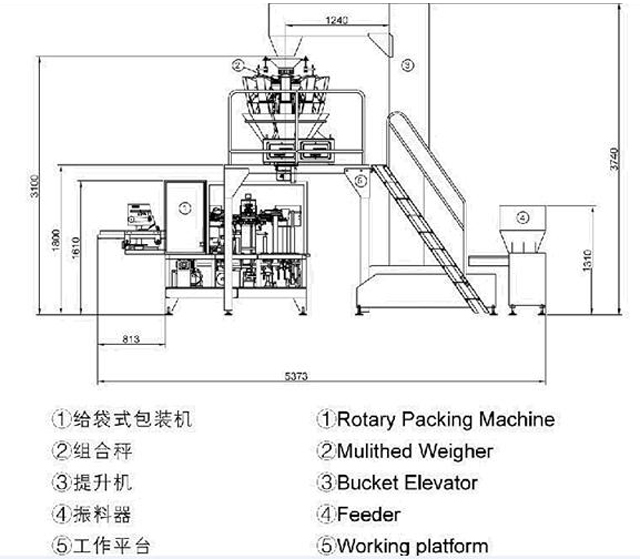 The equipment is mainly applied to the bagging of large granules like radix isatidis infusion, coffee, cereals, granulars infusion for influenza, etc. automatically count packaging. 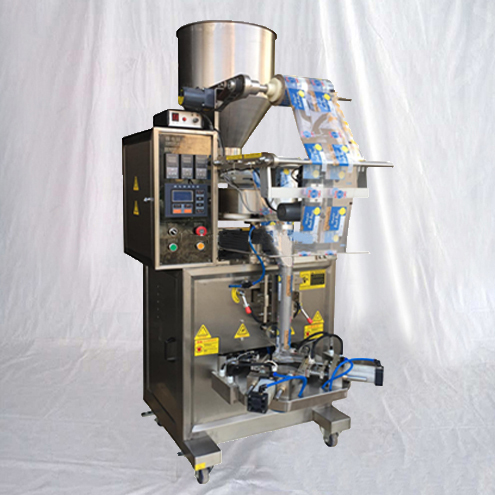 Through the quantity of the pouches to the rotary packing machine, and the rotary packing machine will do filling, sealing and output packages. 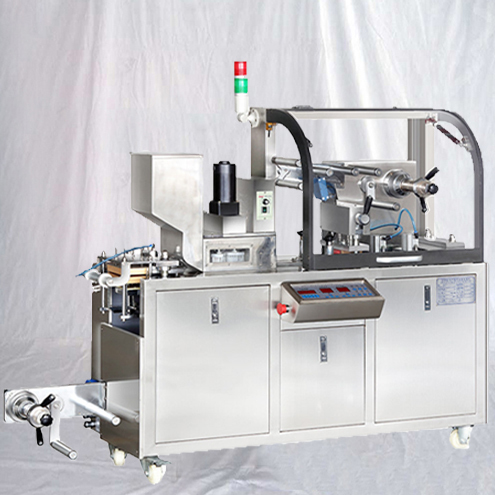 A complete set of equipments with high degree of automation. 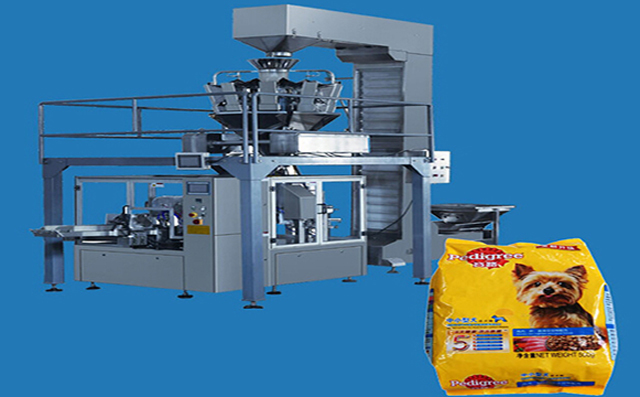 So that it could have you to save the labour and improve the production So that it could help you to save the lavour and improve the production. ►Fully automatic. Clip the bag, open the bag, fill the bag. Sealing and output the packages. ►Easy to operate. 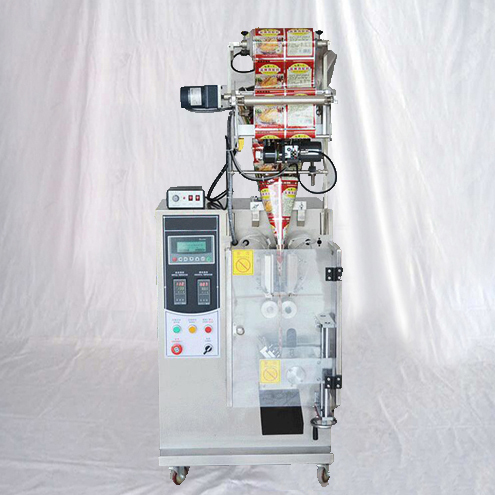 The machine adopts Imported PLC control, and human-machine interface with touch screen control system. ►Frequency control system. 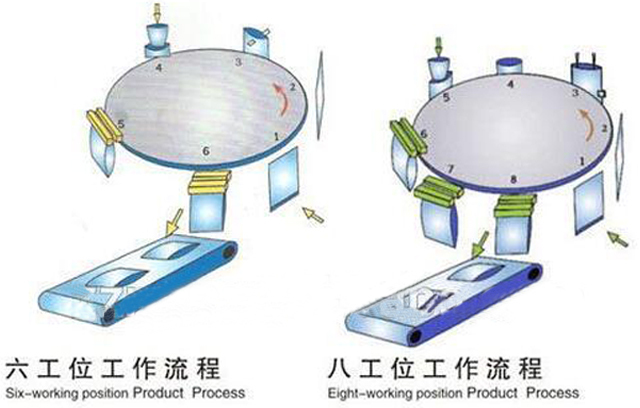 Adopts Frequency Controller, the operator can regulate the packaging speed. ►Automatic detection. 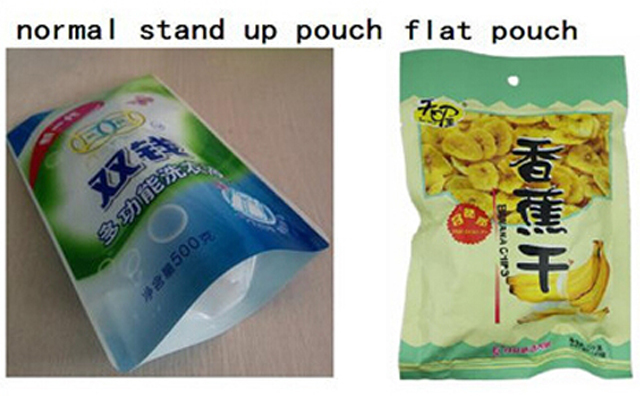 If the bag is not opened or not opened completely, there will be no feeding and no sealing, so that the pouch can be reused. 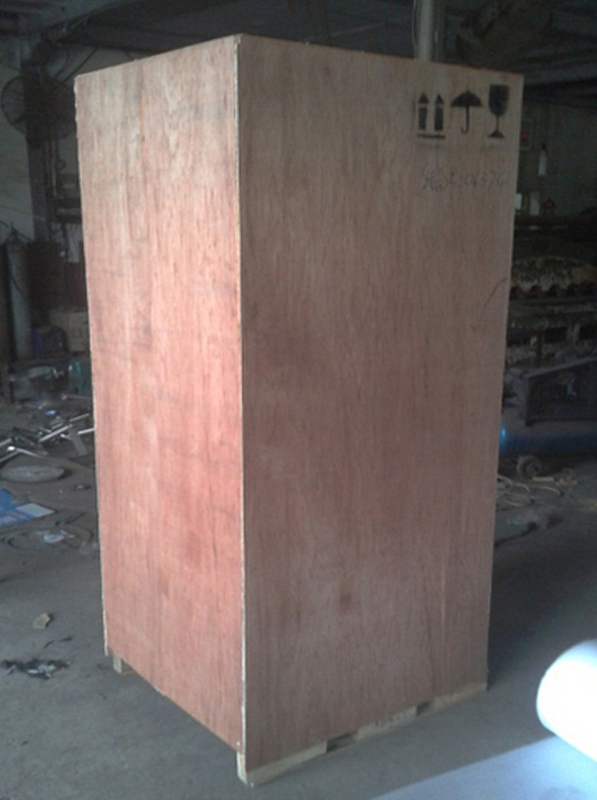 In this way, you can avoid wasting materials, and reduce production costs. ►Stainless steel. 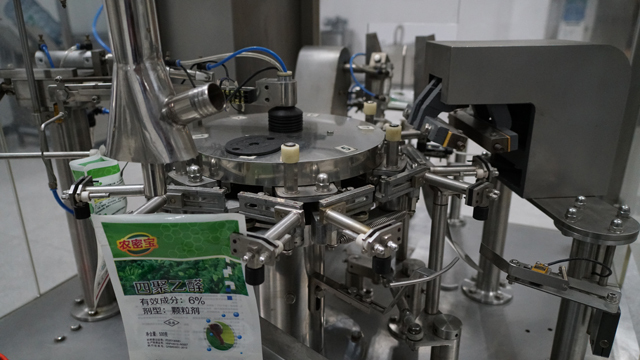 Main parts of the machine are made with Stainless steel, so that the machine can meet food hygiene standard, and get a longer service life. 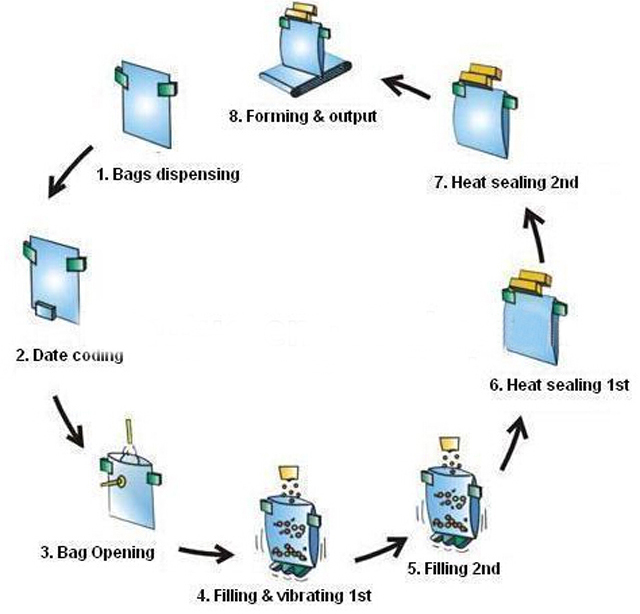 ►Good sealing quality and very low bag broken rate. 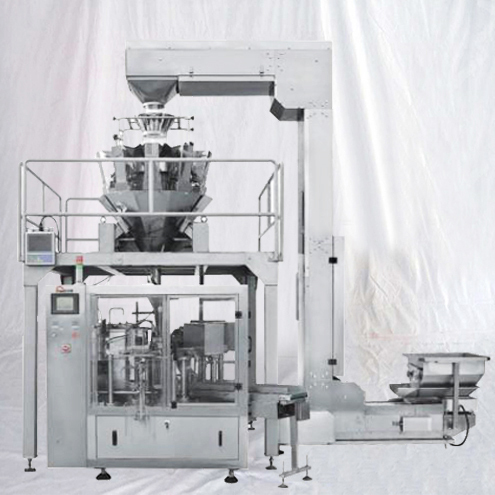 ►Packaging a wide range, by choosing a different feeder. 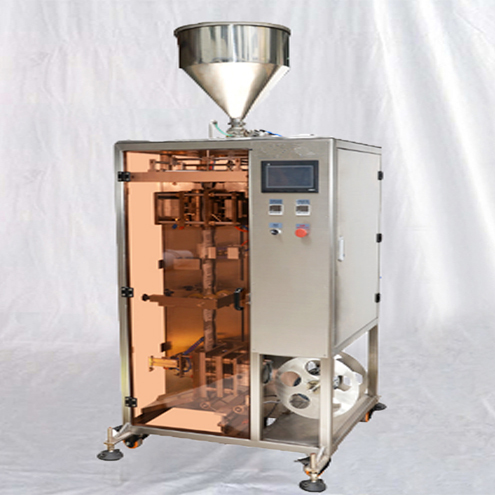 The machine can be applied to the liquid, paste, particle, powder, irregular lumps and other packaging materials. 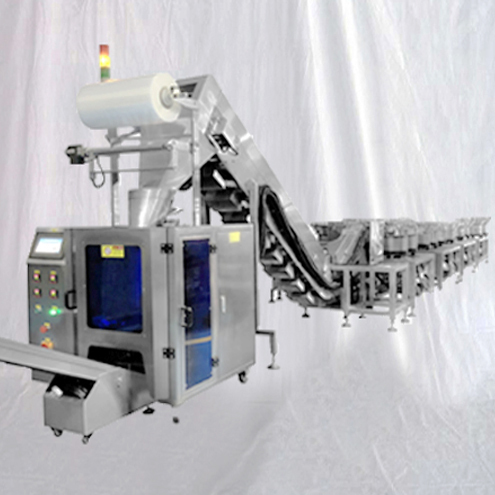 ►This packaging line include a filling and sealing machine, a multihead weigher, a z bucket elevator, and a working platform. 1.No puoch or open error,no filling . 2.No pouch or no filling ,no sealing . 4.No coding ribbon,Emergency stop and alarm. 5.The air pressure not enough ,alarm. 6.The sealing temperature abnormal ,alarm.